The Bliss of Solitude. Philadelphia: Xlibris, 2002. The Bliss of Solitude is a novel about sexual obsession, time’s transformation of memory, the gradual erosion of wonder, and the interplay between the external world and inner vision. Its heroine-narrator is Iris Cloud, a 43-year-old product of affluent Boston suburbs and an Ivy League education, who retreated to Vermont twenty years earlier to hide an illegitimate pregnancy and to escape the expectations of her perfectionist parents. Now she runs a hand-knit sweater shop with her longtime lover Carolyn in a small resort town, clinging all the while to memories of her dreamy, awed, and restrained childhood in which she aspired to becoming a great artist and later a renowned physician. Life is tranquil enough, if passion-less, until one day Iris finds out that her 20-year-old daughter, Lydia plans to marry a questionable young man whom she has known for all of three weeks. Iris, stricken with guilt, realizes that she must step in and fulfill her long-neglected! maternal duties to Lydia, who had left Iris as a young teenager to live with her grandparents. Iris becomes convinced that part of this duty involves doing what she never bothered doing twenty years earlier: seeking out Lydia’s father, her college boyfriend, and telling him that he has a daughter, a daughter on the verge of marriage. 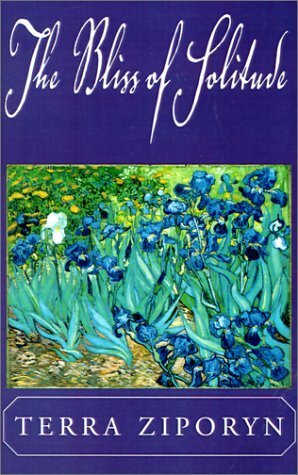 Iris’s search for Jack–a would-be modern-day Michelangelo whose egotistic delusions of grandeur underlie his paradoxical attractiveness–erodes the already fading relationship between Iris and Carolyn and forces Iris to confront the portrait-like reminiscences of her past that in many ways are more alive to her than her current quest.